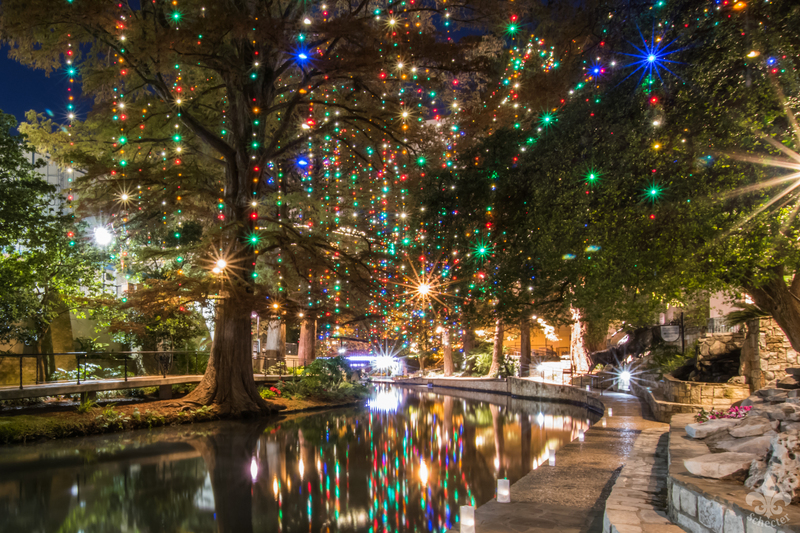 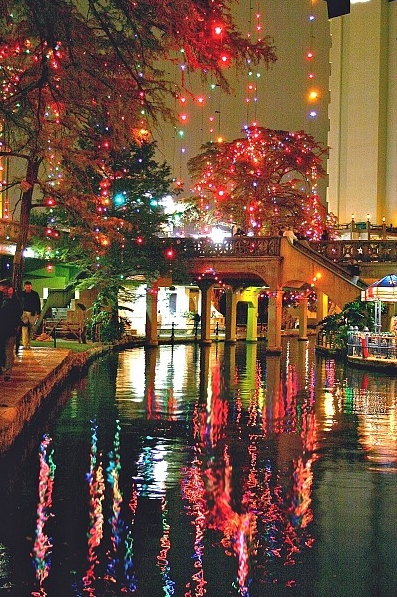 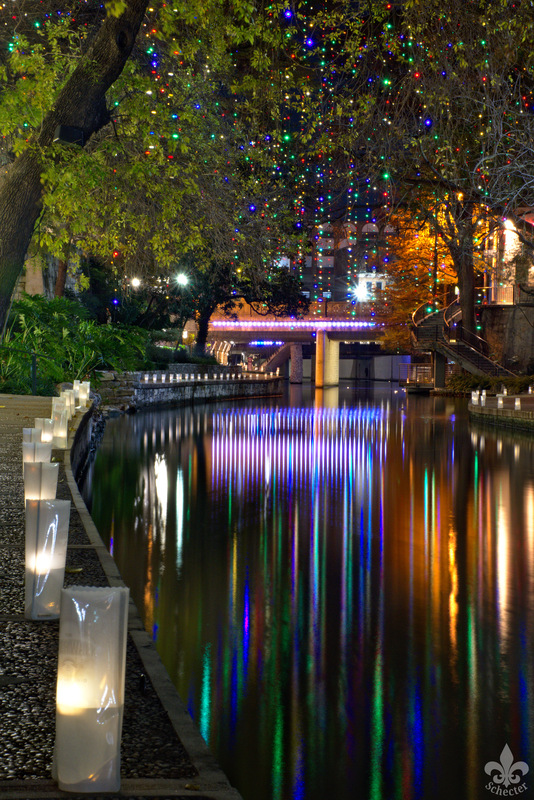 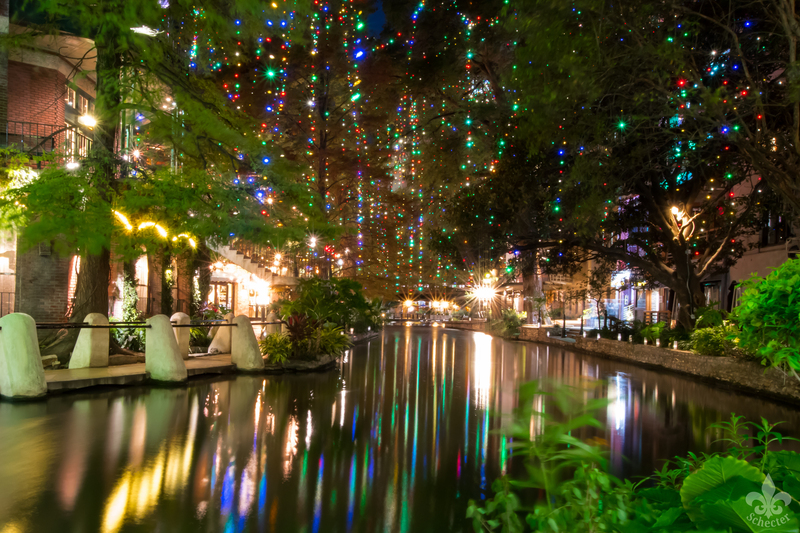 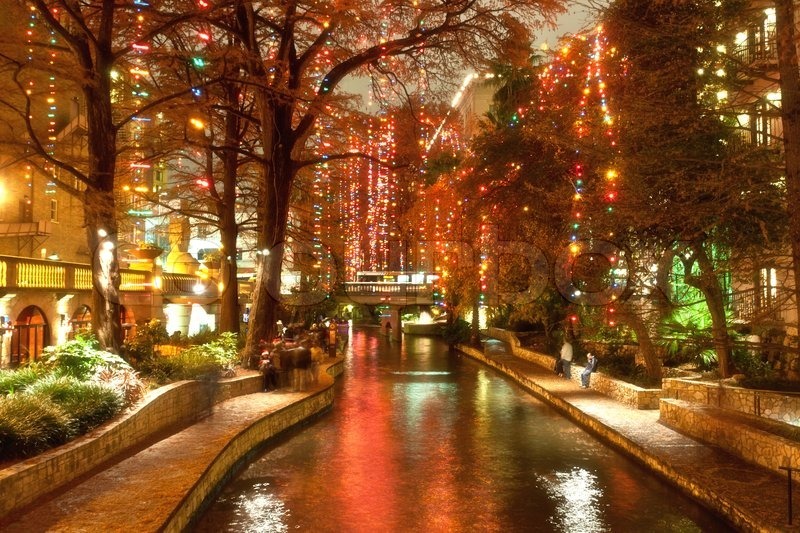 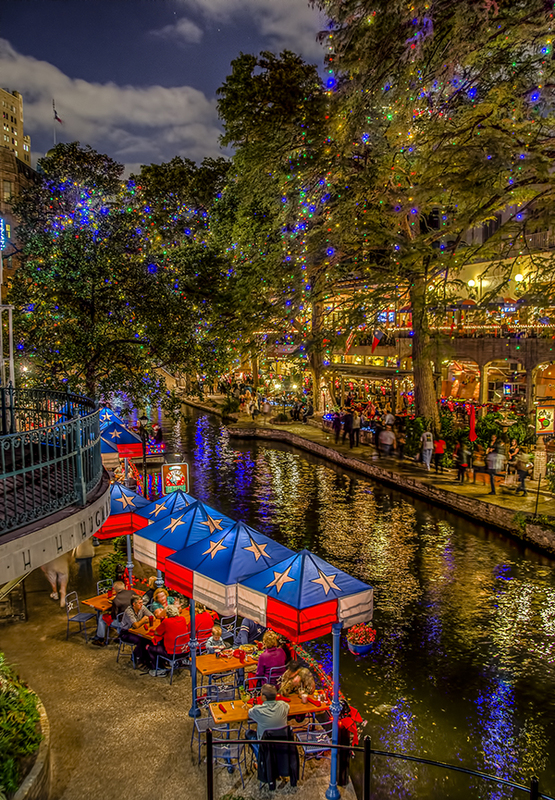 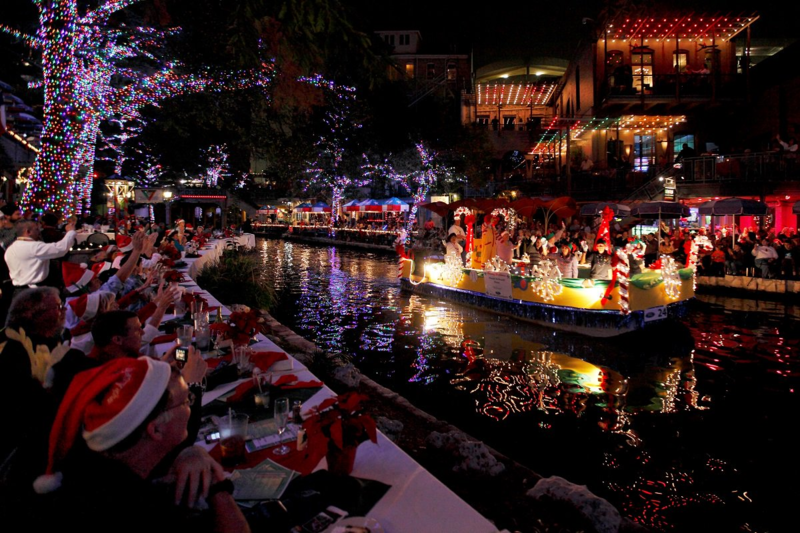 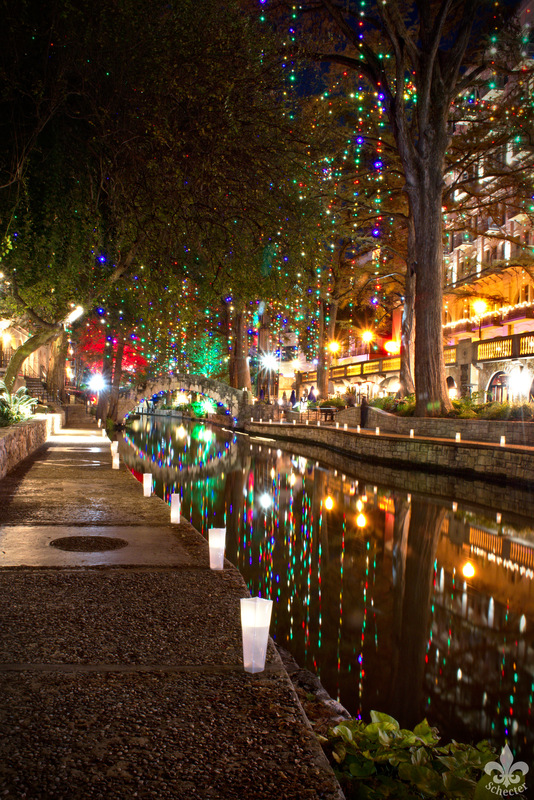 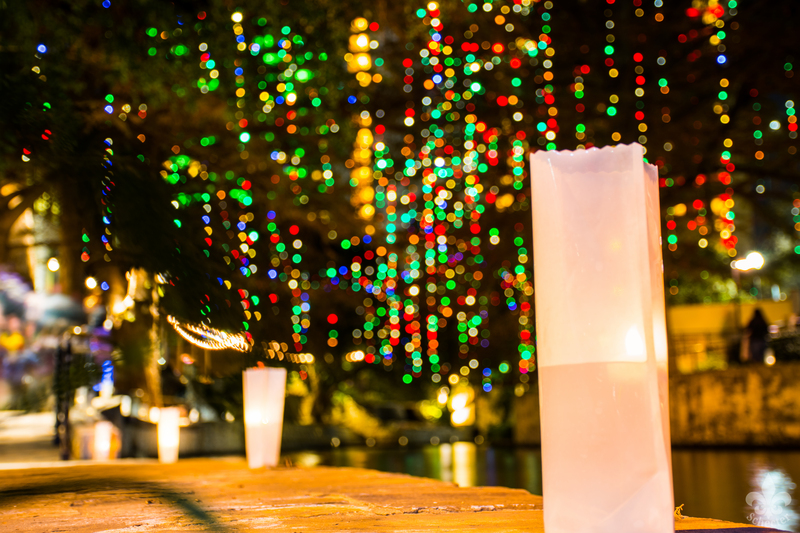 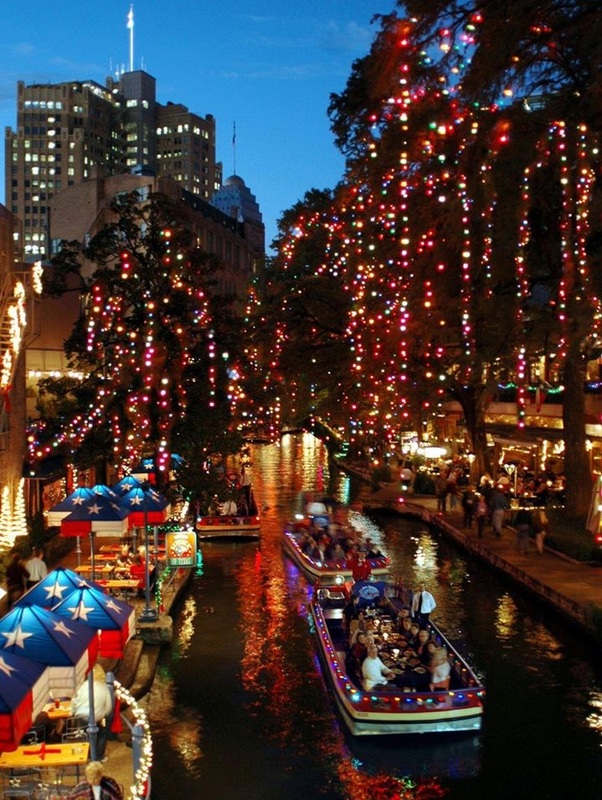 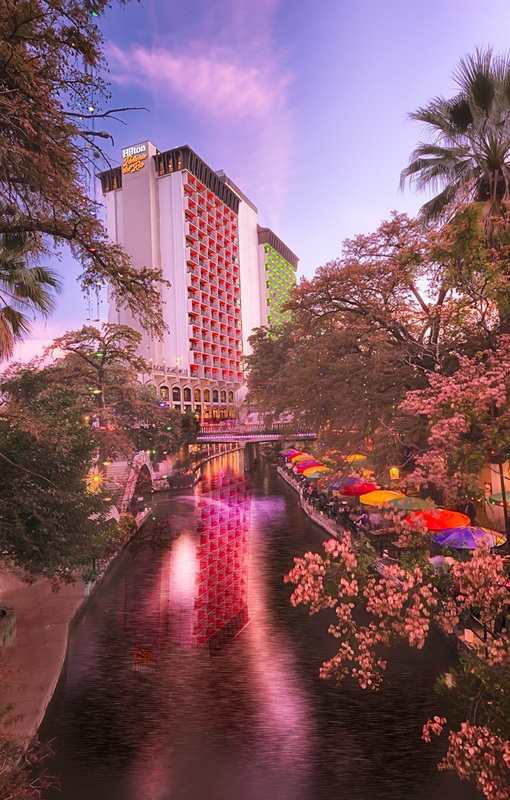 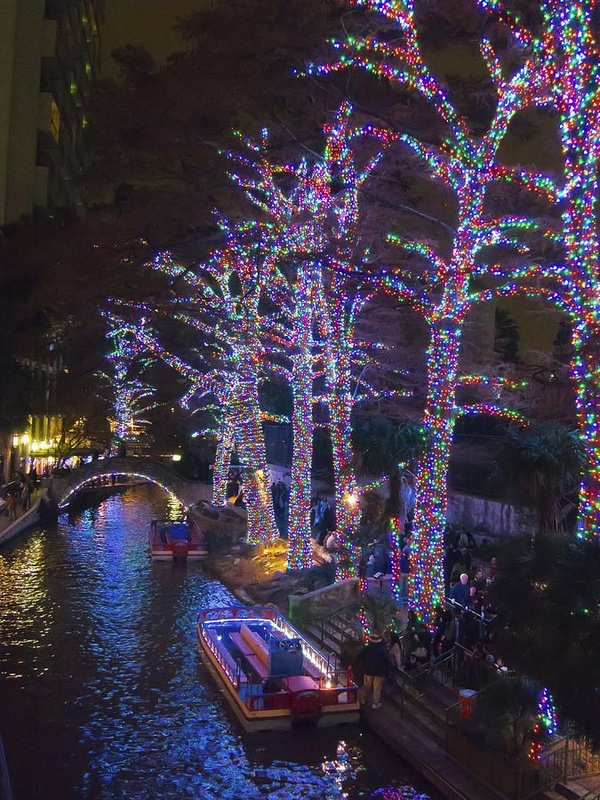 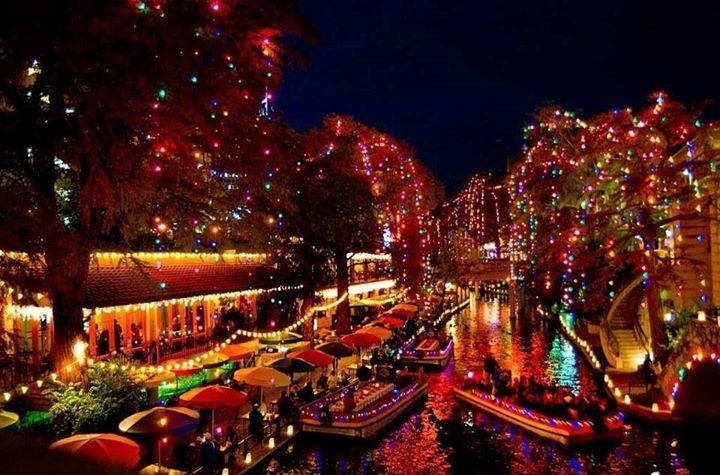 Holiday lights on the River Walk. 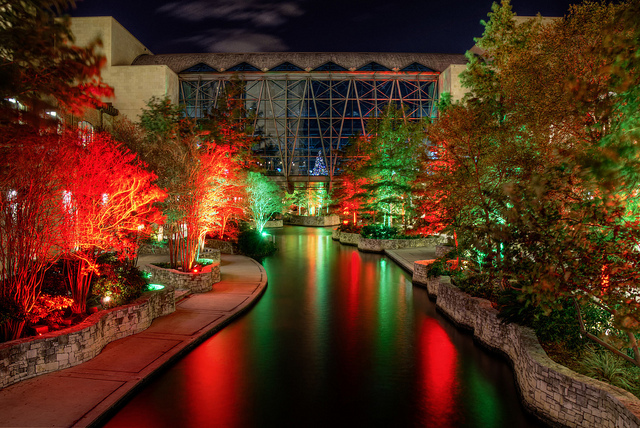 In 2011, we experiemented with wrap the tree trunks with lights instad of draping them over the Bald Cypress trees. 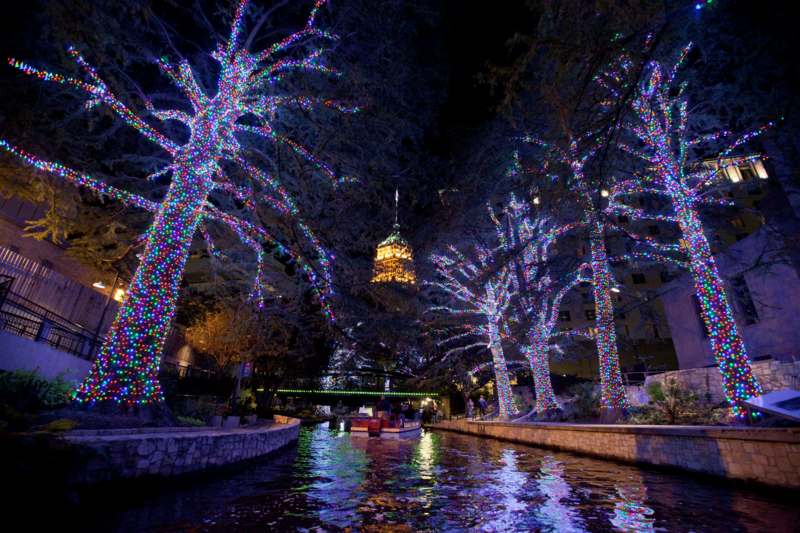 The pubic did not like and in 2012 the lights went back to hanging from the trees. 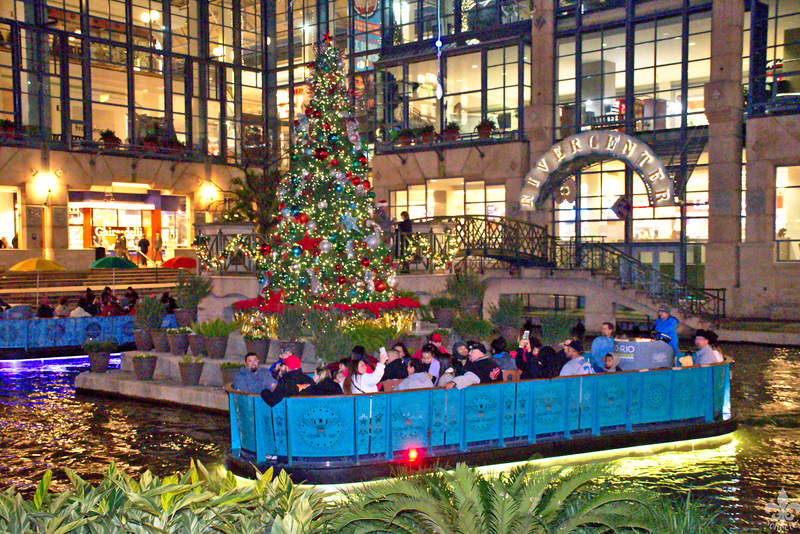 The Shops at Rivercenter erects a Christmas tree in the center island of their lagoon. 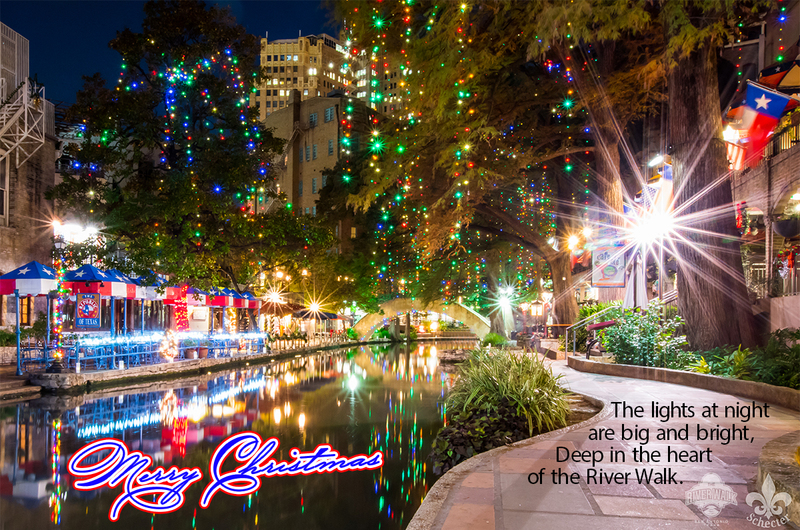 Sorry there are currently no media files for this filter.